Here are 20 Tips for the Best Disney World Vacation! 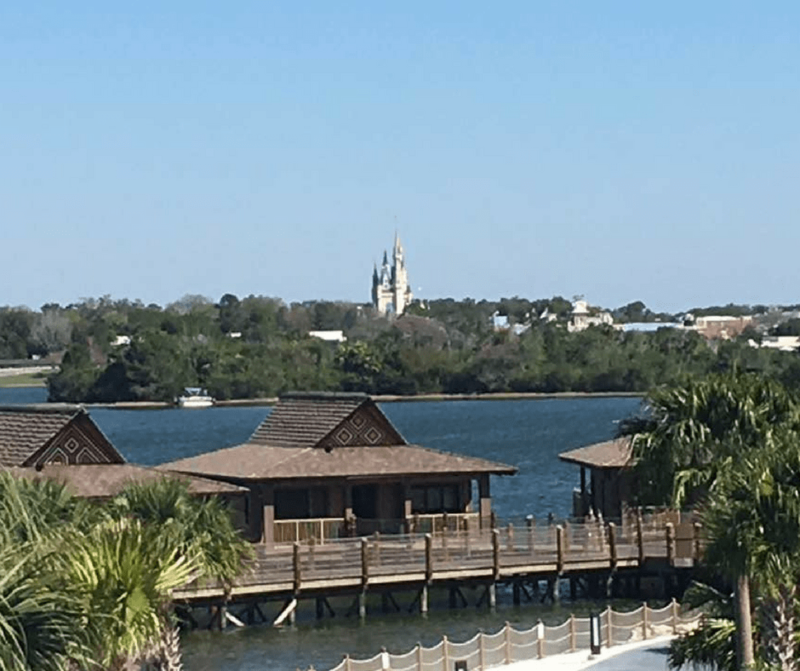 If you’re getting ready to take your family on their first Disney World trip, you may want to check out my helpful tips. A Disney vacation is a trip most families dream of taking for a long time. Visiting Disney is magical but planning the vacation can be a daunting task if you have never been before. When my family started planning our first Disney World vacation, I did a lot of research. I wanted to make sure my family had the best experience. So, I’m sharing everything I learned about Disney in hopes your family will have the most magical time, too! Here are 20 Tips for the Best Disney World Vacation! I hope you find these ideas useful. These tips aren’t necessarily in a certain order. 1.Travel Insurance– When booking your Walt Disney World vacation you can add travel insurance to your package. I highly recommend adding travel insurance, but it’s up to you. I always purchase travel insurance when my family takes a vacation. You never know when you have to cancel your trip for an emergency. 2. Decide where your family will stay – There are many benefits to staying at a Disney World Resort. Guest staying on Disney property enjoy perks and privileges unavailable to those that do not. My family has stayed at Disney’s Polynesian Village Resort (Disney Polynesian Hawaii longhouse). We were able to see the firework show at the castle at night time from our resort room balcony and the light show that passed every night in the lagoon. We have also stayed at Disney’s Saratoga Springs Resort & Spa (has a kitchen and balcony), Caribbean Beach, Port of Orleans Riverside. My goal is eventually to be a Disney Vacation Club member. Picture from my balcony at the Polynesian resort. 4. Know what and how to use the MagicBand– when you receive your magic band you will be required to make a PIN code. I suggest making an easy pin code that your family will remember. You will need this code when making purchases (shopping, buying food, and using the dining plan. You will need a credit or debit card to link to your MagicBands. The MagicBand unlocks your Disney Resort hotel room, allows you to enter the parks, buy food, merchandise, allows you to use your dining plan if you chose to purchase one for your family, and gives you FastPass+ access to all the experiences you’ve selected online. Also, if you buy memory maker, you will need to have your MagicBand scanned after you take your photos. 5. Decide which theme parks your family will visit– Walt Disney World offers 4 theme parks which include Pandora, the World of Avatar, an all – new land at Disney’s Animal Kingdom park. 6. Decide how your family will eat – decide if your family will buy one of the available Disney Dining Plans, bring food from home, have food delivered from a local store, or eat at restaurants at Disney World without buying a dining plan. My family bought the Magic Your Way Package plus Dining we were able to get 1 table top service each per day, or 1 buffet each per day, 1 quick service each per day, and 2 snacks each per day, and each person received 1 refillable resort mug. 7. Know what Transportation to use to get around – Disney uses several forms of transportation. The options are buses, monorail, and boats/ferries. Hotels on the monorail loop are Disney’s Grand Floridian Resort, Disney’s Contemporary Resort, and Disney’s Polynesian Resort. 8. 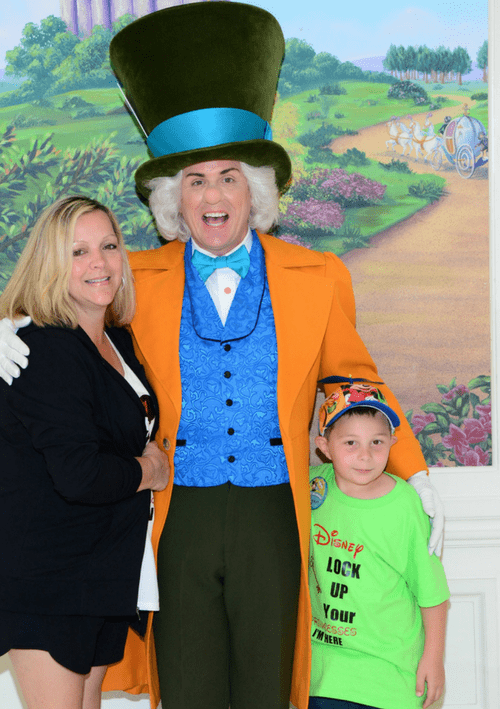 Character Dining– Children love meeting the different Walt Disney World characters, having their pictures taken with them, and getting their autograph books signed. I suggest making reservations for the character meals as soon as possible. My family went to the Animal Kingdom Character Meal (Tusker House) for lunch. The Tusker House offers breakfast, lunch, and dinner. The Tusker House is in the Africa section. Daisy Duck, Donald, Mickey Mouse, Minnie, and Goofy went to each table one at a time to visit each family. All the characters took time taking pictures with the children and signing autograph books. Some people even brought picture frames to have signed by the different characters. The Tusker House is a buffet style restaurant, and if you’re on the dining plan, it is considered a tabletop service. My family also went to the Floridian (Resort Character Meal) for breakfast at 1900 Park Fare. It was also a buffet style setting. Alice, Mary Poppins, Tigger and Winnie the Pooh walked around to each table signing autographs and took pictures with whoever wanted to have their picture taken with them. Matt Hatter was at the back of the dining area with a photographer taking pictures. If you purchased the photopass (Memory Maker), you could scan your MagicBand to download your image. Additionally, my family had dinner at Be Our Guest. Dinner time is the only time the Beast comes out to take photos. He doesn’t do autographs but, there is a Disney cast member taking photos. Disney World offers so many wonderful character experiences ces to make your vacation a once in a lifetime trip; it’s hard trying to fit in everything you want to see and do in one vacation. 9. Have a meeting place for your family– when visiting crowded parks it’s important that you discuss with your family where to meet in case some of your family members get separated, or older kids decide to ride different rides. Sometimes mobile devices don’t work, or someone forgets to charge their phone. When my family got to each park, we discussed where we would meet and a meeting time if we got separated. 10. Wear a watch– I never wear a watch except when on vacation. I found wearing a watch was helpful to keep up with my fastpass+ and dining reservations. I bought a Mickey Mouse Magic Slider Digital Watch to go on my MagicBand before I left to go on my Disney vacation from the Disney Store online here. 11. What to know about renting a Scooter (EVC) or wheelchair- If you or a family member needs a scooter or wheelchair I recommend calling Scooter Bug and rent one from them. Their prices are reasonable, and you don’t have to worry about not having a scooter or wheelchair when you need one. You can keep the scooter or wheelchair during your entire Disney vacation. They will deliver the scooter or wheelchair directly to the resort you’re staying at and pick the scooter up the day you leave the resort to go home. Scooters and wheelchairs availability at Walt Disney World are limited. 12. Disability Access Service (DAS) – Guests Relations at the front of each park will assist guests and provide assistance that is responsive to their unique circumstances. Guests with disabilities at Disney World receive a return time for attractions based on the current wait time. 13. Stroller- If you’re visiting Disney World with small children I highly recommend using a stroller. I bought an umbrella stroller for my seven-year-old son at the Magic Kingdom for $40. Even though my son had outgrown using a stroller at home, using the stroller at Disney when he was tired was very helpful. I recommend tying a helium balloon, or bright ribbon to your stroller so you can find it amongst all the other strollers whether you bring your stroller, rent, or buy one. Also you may want to bring a rain cover for your stroller. 14. Rain Gear – You never know if it will rain or not the weather in Florida is very unpredictable. You can buy a reusable raincoat from Walmart for under $10; they come folded in small square packages. 15. Backpack– Great for storing autograph books, snacks, water bottles, sunscreen, a map of the park, a printed itinerary, rain coats, battery charger, band-aids, change of clothes for little ones, chapstick, money, Disney gift cards, and cell phones. 16. Disney Gift Cards- This year we took our son to Disney for his birthday which worked out perfect for him. Whenever a family member asked us what to buy him for his birthday, we would tell them a Disney Gift Card. We figure he could use the gift cards to buy himself souveniers. I purchased several gift cards that we used on our vacation instead of using our debit card. We used the gift cards in the gift shops, to buy food, and even to pay tips when we ate at restaurants. Also, the gift cards are perfect for older kids to use if they are visiting the parks on their own. 17. Disney Trading pins and lanyard– When I was looking up information about Disney World before we went on our vacation I learned about Disney Trading pins. The cast members will trade up to 2 pins each, with a guest. The Disney gift shops sell the trading pins, but they can be a bit expensive. I purchased a trading pin starter set before our vacation from the Disney Store online. 18. Autograph Book & Pen– perfect for getting autographs of the Disney characters. I bought my son’s from the Disney store online before we went on our trip. Also, I have seen people bring photo frames/photo mats for the characters to autograph. 19. 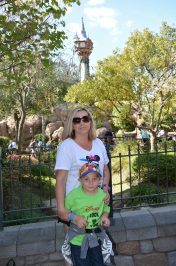 Fun Disney & Character shirts– I purchased several different Mickey Mouse t-shirts for my son to wear during our Disney vacation. I bought them online from the Disney Store. Also, I made several t-shirts with fun Disney sayings for my entire family. 20. 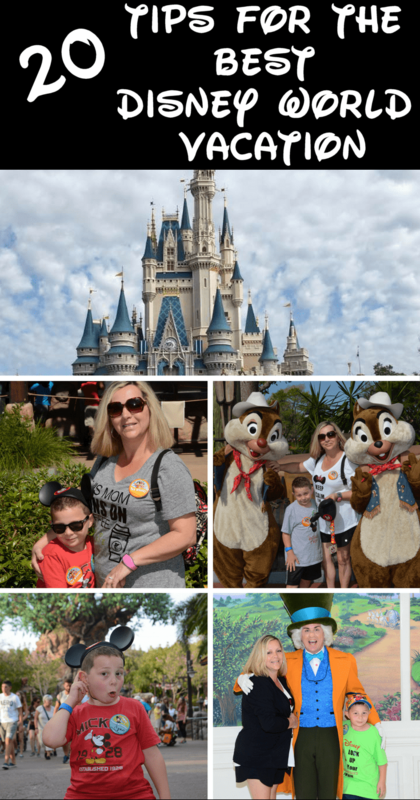 Memory Maker (A Disney Photo Pass Service) – learn more here. I recommend the memory maker; it was worth every dollar I spent on it. Every time I go on vacation with my family I end up taking all the photos and I never have a picture of myself with my family; the memory maker solves this problem! I loved that I could just walk up to one of the cast members taking photographs and get my picture taken with my family. After the photographer had taken our photo, they scanned my MagicBand and later I was able to use My Disney Experience app to look at our pictures and download them. 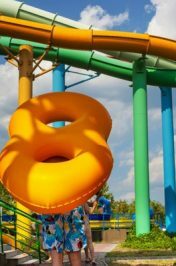 Here are a few more things I recommend: Portable battery charger (I purchased one from Best Buy called myCharge), waterproof phone case, fanny pack, wear good walking shoes, sun visor or hat, bring extra socks, rent lockers for your belongings when you go on water rides, have cash for family blow dryer after riding water rides, bring sunglasses, sunscreen, wet ones, hand sanitizer, bring empty water bottles to the parks they offer free ice water, and the most important thing – have fun!!! 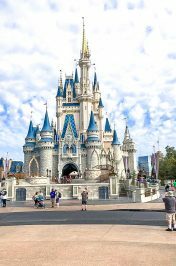 I hope my 20 Tips for the Best Disney World Vacation will be helpful for your family. If you have any tips you would like to share about going on a Walt Disney World vacation; please share them in the comment section below. 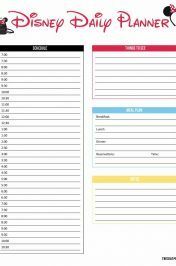 More Disney tips for you: 19 Best Disney World Planning Tips you’ll love and download our FREE Disney Travel Planner. Check out our DIY Disney Chewbacca Countdown tutorial. Love this post! I think it’s definitely one my daughter will benefit from on her first trip there. Pinned. Sadly, as a single mom, I was never able to take my two daughters to Disney. But we are talking about a family trip with my granddaughters in a couple of years. This is such a great, comprehensive list of tips. Thank you. You provided a great list of tips here for people visiting Disney, I am sure your advice will really help a lot of people out. I like the sound of their MagicBands too, a really good idea. Such great tips! Living in Florida means I have yet to go to the Disney resort, lol… so now feel prepared! We brought our almost two years old toddler to Universal Studios Singapore and it was his first trip abroad too. I can say he did enjoy but I dunno if he’ll remember. Next year or probably when he is four, we plan to bring him to Disney. So many great tips in your post! A backpack was a game changer for us; we have food allergies and it made snacking so much easier. I so need a trip to Disney is has been way to long. I agree on having a travel insurance, not only when visiting Disneyland. This will make sure that every traveler is protected, which makes you feel at ease.